Brand new in original packaging. Exactly the same as shown in the picture! 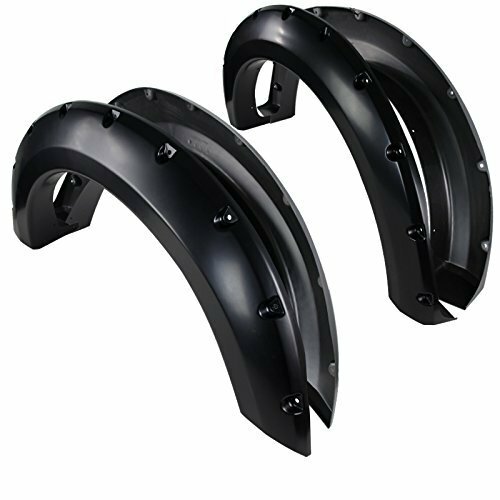 Comes one set (4 pieces) front + rear fender flares. Made of high quality polypropylene – can be painted to match your vehicle or leave it as black. Comes with necessary hardware for installation. To prevent scratch, sand, and any other outer damage. No cutting or trimming needed. Some drill may be required. Installation instruction does not included. Professional installation highly recommended. Fitment : 04-08 Ford F150 Styleside models with 66″ / 67″ / 78″ / 96″ bed length only. (Do not fit Heritage models). 07-08 Lincoln Mark LT Styleside models with 67″ / 78″ bed length only.